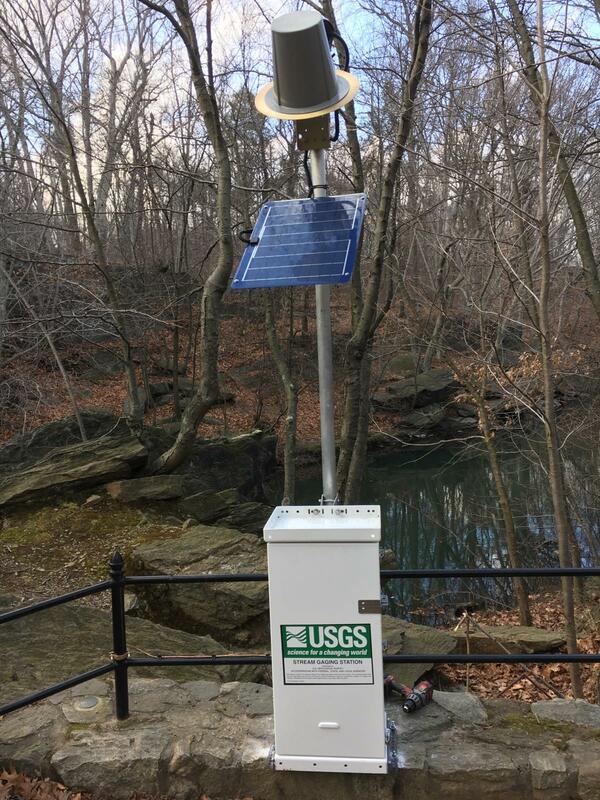 LOCATION.--Lat 40°51'44.3", long 73°52'27.8" referenced to North American Datum of 1983, Bronx County, NY, Hydrologic Unit 02030102, on left bank at New York Botanical Garden in Bronx. DRAINAGE AREA.--38.4 mi². not including 12.7 mi², from which the entire flow is diverted for municipal water supply. PERIOD OF RECORD.--August 2006 to current year. GAGE.--Water-stage recorder. Elevation of gage is 50 ft above NAVD of 1988, from topographic map. REMARKS.--Entire flow, runoff from 12.7 mi², diverted from Kensico Reservoir for water supply of City of New York and entire flow, runoff from 0.68 mi², except for periods of spill, diverted from White Plains Reservoirs 1 and 2 for water supply of City of White Plains. Satellite gage-height telemeter at station. EXTREMES FOR PERIOD OF RECORD.--Maximum discharge, 3,460 ft³/s, Apr. 16, 2007, gage height, 6.05 ft; minimum discharge, 7.1 ft³/s, Oct. 11, 12, 2017; minimum gage height, 0.45 ft, July 6, 2017.